Spain stayed out of both world wars, so they don’t celebrate Remembrance Day in November. They have Peace Day instead, which schools celebrate on January 30th. In Primary school they wear something white, or mostly white (if the children remembered to tell Mummy), and usually they go into the village centre and sing a song. 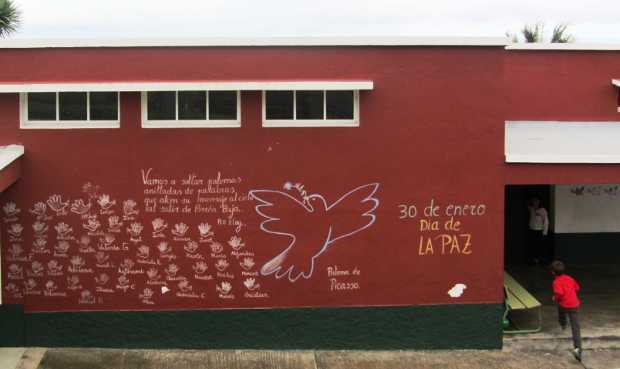 At high school, the teachers try to work a peace theme into the lesson. For example, my son´s English lesson was the lyrics of John Lennon’s “Imagine”. I’ve seen a few little Peace Gardens dotted around too.